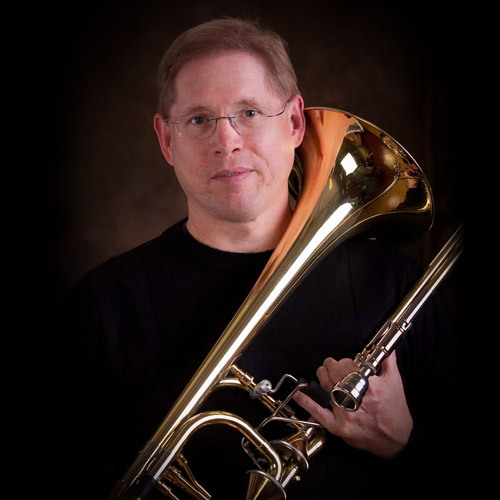 Bass trombonist Michael Carver can be heard performing with the Chattanooga Symphony & Opera at the historic Tivoli Theater in Chattanooga, Tennessee. He has also appeared with the Nashville, Huntsville, Evansville, Macon, Tuscaloosa, and Rome (Georgia) symphony orchestras. Additionally, Michael has toured China and Japan as a member of the Hollywood Film Orchestra. A frequent performer of musical styles outside of the classical idiom, Michael has appeared with a wide variety of artists such as Doc Severinsen, Bernadette Peters, Bela Fleck, Al Jarreau, Randy Newman, ELO, The Spinners, The Four Tops, The Jimmy Dorsey Orchestra featuring Bill Tole, The Moody Blues, and many more. Michael currently serves on the faculty of Dalton State College, and has also taught at the University of Tennessee at Chattanooga, Southern College, and Lee University. A graduate of both Georgia State University and the University of Tennessee at Chattanooga, Michael’s principal teachers have included Richard Brady at GSU and Jim Bermann, Dale Hair, and Keith Sanders at UTC. Michael lives in Rome, Georgia, with his wife Donna, and two children Lance and Sarah.